Both just ease into the fight in round one. In round two both start to open up with sharp kicks. Sangtawan comes in with a few hard punches. In the third Sangtawan comes out faster, looking to push forward and catch Payakromklao with more hard punches and some solid kicks. 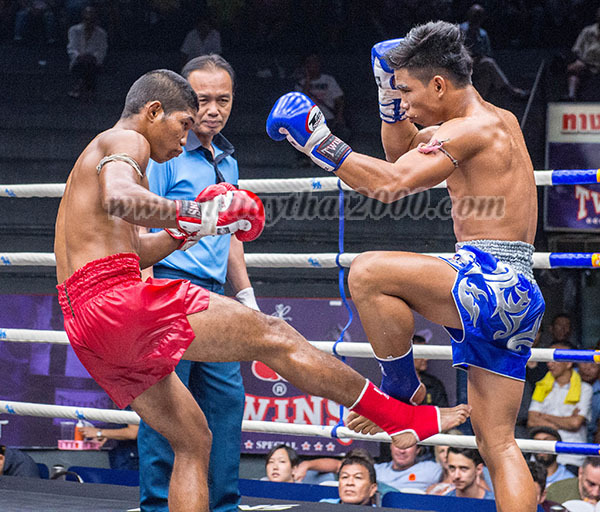 Payakromklao soaks up the attacks well and fires in some solid kicks and ties up Sangtawan in the clinch and lands with some solid knees. Sangtawan pushes forward again in the fourth, but struggles to catch Payakromklao with anything clean. 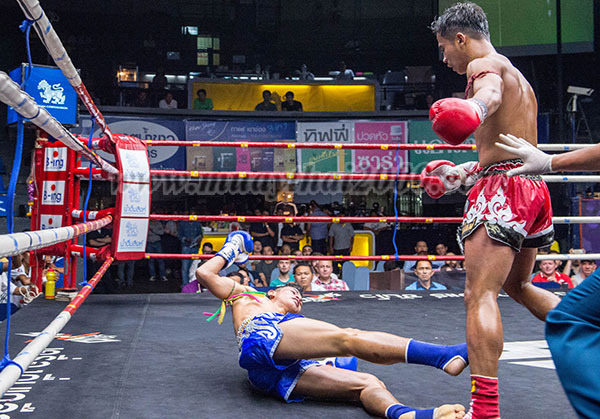 Sangtawan manages to throw down Payakromklao, but gets warned for using his foot to trip. Payakromklao looks in control from behind a tight defense and lands throughout with sharp kicks and knees. 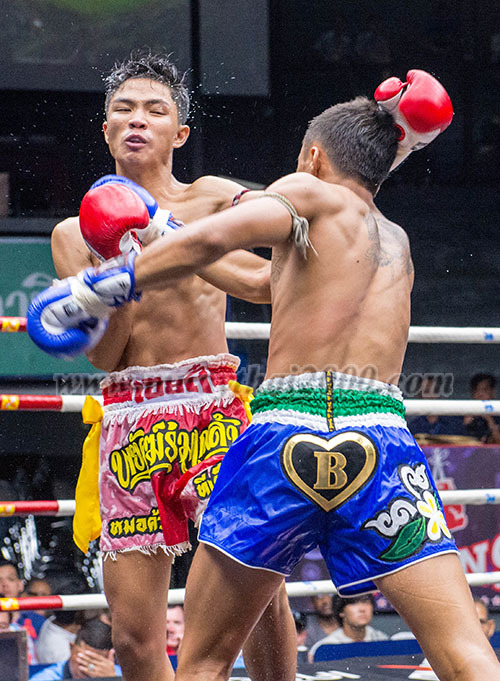 Sangtawan has no option but to come out punching in the last round, but again Payakromklao has no trouble soaking up the attacks and takes a clear win at the end. Again both just ease into the fight in the opening round. In round two Farlan starts to open up with a few solid punches and low kicks. Withayalek soaks up the attacks and comes in with a few sharp counters. In the third both start to open up with more determination. A short way in Withayalek lands with a solid elbow that staggers Farlan. Withayalek opens up with a barrage of punches and low kicks. Farlan starts to look like he has cleared his head and comes in with a few hard shots of his own, but two hard punches from Withayalek send him down for the count. Both fighters open up with some solid punches and low kicks in the opening round. Petcharthchai is the aggressor. Petchartchai pushes forward again in the second round, coming in with more hard low kicks and punches. Suriyanlek looks a little wary, but comes in with his own hard punches and low kicks and a few solid elbows. In round three Petchartchai continues attacking with hard punche sand ow kicks and brings some solid body kicks into the fight. Suriyanlek stands his ground more now though, trading hard punches and comes in with some sharp kicks. In the fourth Petchartchai keeps pushing forward and starts to open up with some solid knees in the clinch now. Petchartchai looks strong at first, but seems to fade as the round goes on and Surianlek takes over with some sharp kicks and solid knees. Petchartchai comes out punching again in the final round, but Suriyanlek never looks troubled and takes a clear ponts win at the end.